Great price, color was exactly as I wanted! Very fast delivery and quality of product was excellent.. I would recommend to anyone to try products, especially rugs from this company! Nourison Delano Espresso Area Rug - 5'3" x 7'3"
Nourison Delano Espresso Area Rug - 3'11" x 5'11"
Nourison Delano Espresso Area Rug - 6'7" x 9'6"
A serenely stylized medallion motif, framed by the elegant lines of a traditional diamond panel design. 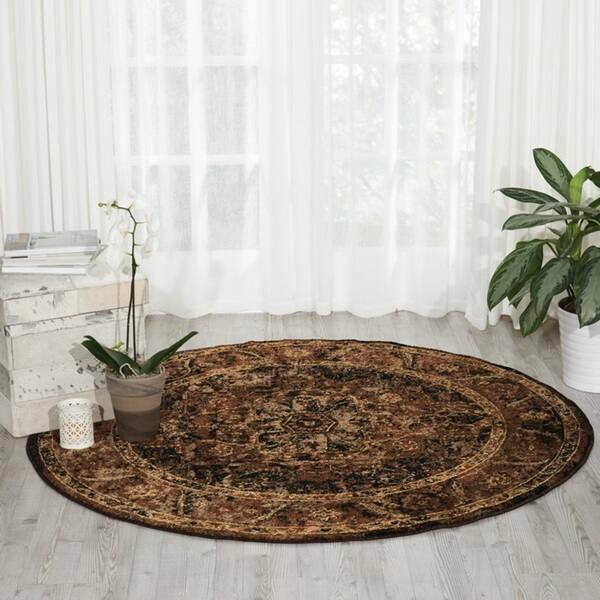 In opulent tones of natural brown, a truly sophisticated area rug to enhance the fashion profile of any room in your home. Expertly power-loomed from top quality polypropylene yarns for luxuriously supple texture and years of lasting beauty. Exact Size: 5'3" x 5'3"
Dimensions 63in. x 63in. x 0.25in.